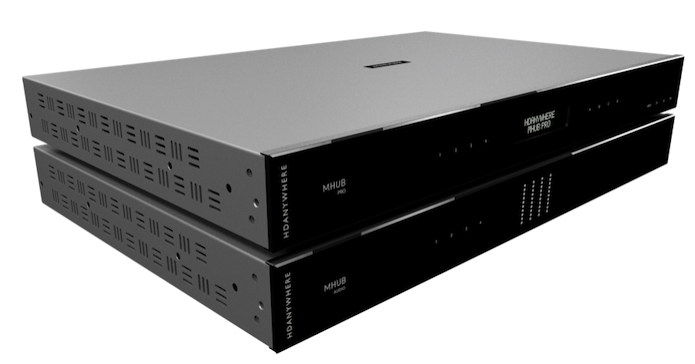 A new one day training course for professional installers has been created by HDANYWHERE to better reflect the wider capabilities and functionality of MHUB video and audio (V&A) whole-home entertainment systems. The new format training days will take place at the new HDANYWHERE HQ, The Haysfield in Malvern, Worcestershire. Where in addition to various R&D labs, an experience centre and product testing facilities, the new home of HDA also includes purpose-built rooms for classroom-based theory and practical hands-on product training. The training will be delivered by HDA Founder, Chris Pinder and uControl Creator, Dillan Pattni in an informal, engaging and interactive manner. It covers topics such as selling the unique benefits of MHUB systems over other multiroom AV solutions. Fundamentals like first-fix wiring, effective use of video scaling in multi-zone projects, creating stacked MHUB video and audio systems, configuring the uControl universal remote app, sequences (macros), voice control, and brilliant integration with third-party control systems, that harnesses the power of MHUB’s expanded IO options and more. Attendees at The Haysfield will also get to see behind the scenes at HDANYWHERE, meet Team HDA and (subject to NDA) perhaps even see some projects in development. Lunch and refreshments will be provided throughout the day. Chris, Dillan and some of Team HDA will keep the building open after-hours for attendees who wish to stay late to improve their knowledge further, or for those choosing to stay the night locally. Integrating with third-party control systems and harnessing MHUB’s expanded IO options.